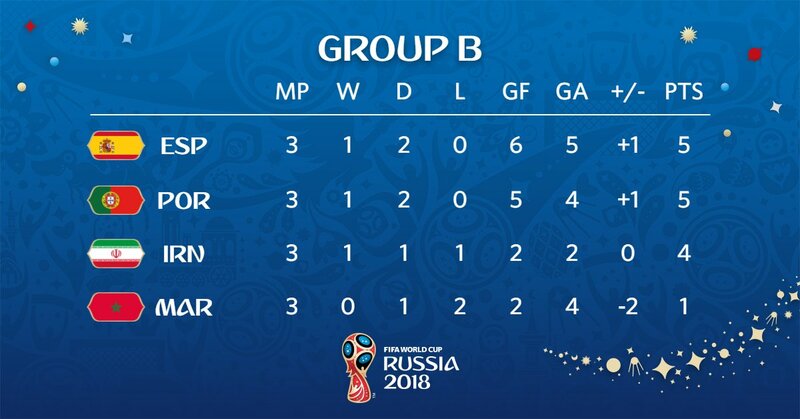 Feature Spain secure late equaliser to top Group B just barely against valiant Morocco as VAR debate rules. Spain has met all requirements for the Round of 16 at the highest point of Group B on goals scored just barely and by temperance of a stoppage-time equaliser from the substitute Iago Aspas. 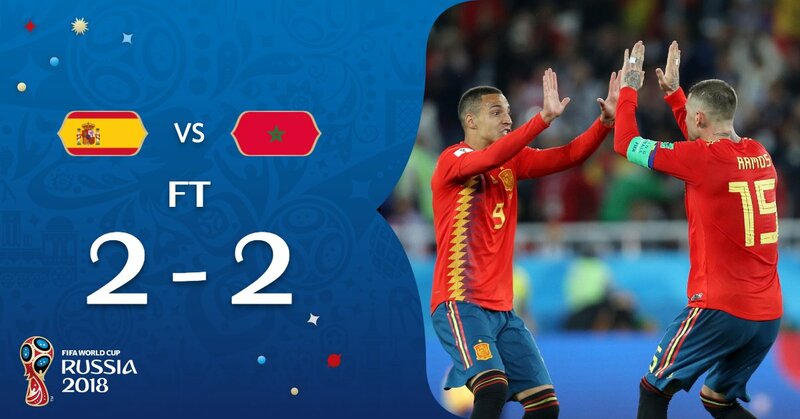 The insouciant near post flick fixed a crotchety 2-2 attract with Morocco Kaliningrad in which Gerald Pique got away from a red card and he and his kindred veteran focus back, Sergio Ramos, made mistakes that cost the 2010 champs their goals. At last, they required VAR to judge that Aspas had not been offside in the most secure of calls which, once it went their direction, started outrage and bumping on the touchline from Morocco's players and staff. Khalid Boutaib opened the scoring in the fourteenth moment after a foolish misjudging between the chief Ramos and Andres Iniesta permitted him through on goal, and he completed with beautiful quiet. He ought to have scored an additional 10 minutes after the fact when he beat the offside trap however shot directly at David De Gea. Isco scored a great equaliser in the nineteenth moment when Iniesta moved back the years and moved through the penalty region and dragged the ideal go to his partner who took a touch and discharged a shot into the top of the net from five yards. Be that as it may, Spain once in a while hit such statures again and however Morocco's solid handling was rebuffed with six yellow cards, they stayed on the front foot and led the pack again through En Neysri's transcending 81st-minute header when Pique bounced under the ball.